The simple shirt is too often overlooked, but it makes your outfit complete. Your perfect wardrobe starts with a bespoke shirt. A custom-made shirt that fits you so perfectly, it makes you feel like you’re on top of the world. Every man should have at least a few shirts like that and SF Tailors makes it possible without breaking the bank. Customize every single detail of your bespoke shirt. White, colored or patterned. Tucked or untucked. 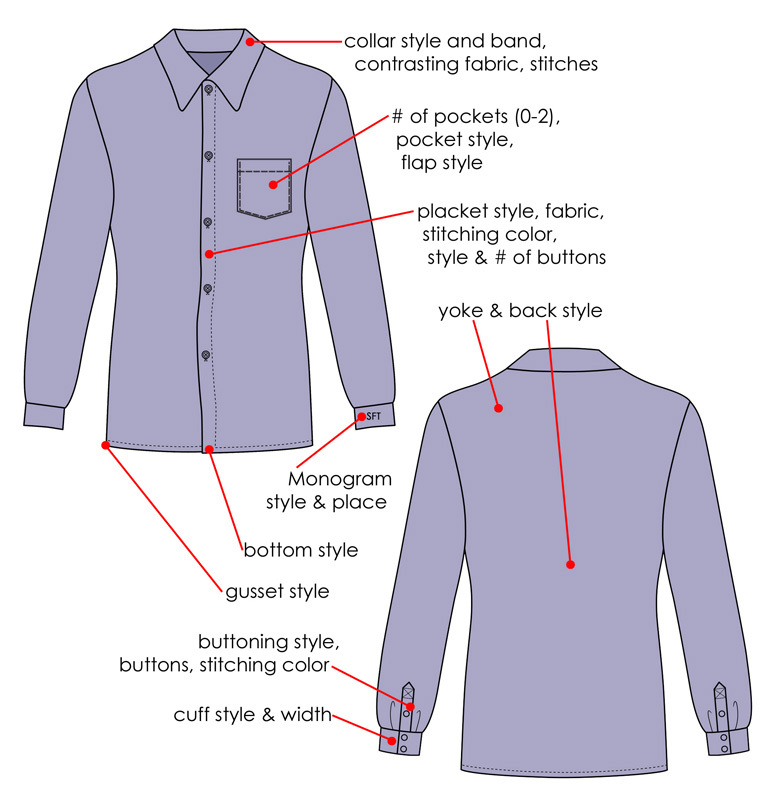 Button-down or spread collar. With or without cuff links. Monogrammed or not. The combinations are endless. Here are some of the details you can customize.